Zombotron - Benvenuti nel pianeta «Zombotron», abitata da umani mutanti o zombie stupidI. Nessuno sa da dove vengono e cosa mangiano. Ma sappiamo una cosa - sono pronti a distruggere tutto ciò che si muove. Buon Divertimento !!! 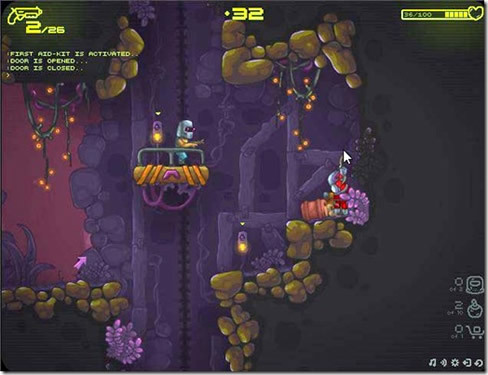 Zombotron - Welcome to the planet «Zombotron», inhabited by human-mutants or just stupid zombies. Nobody knows where they come from and what they eat. But we know one thing - they are ready to destroy everything that moves.. Have Fun !! !